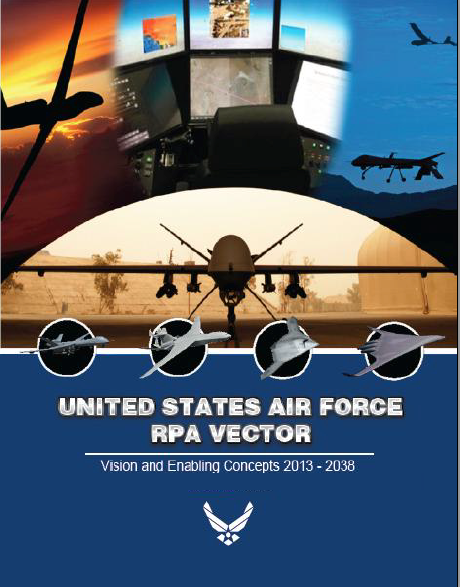 The USAF has at last published its RPA Vector: Vision and enabling concepts, 2013-2048, outlining its projected future for Remotely Piloted Aircraft: you can download it here. 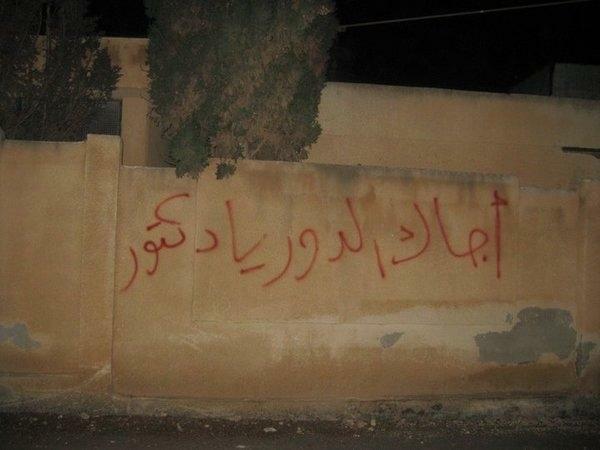 As James Bridle noted, the image is everywhere; it’s also nowhere: a fake. Of course, it’s not just that. The Canon Drone is indeed entirely unreal. A close inspection, and comparison with other Reaper images, including 09-4066, bears this out almost immediately. The level of detail is too low: missing hatches on the cockpit and tail, the shape of the air intake, the greebling on the fins and body. That ‘NY’ on the tail: it’s not aligned properly, it’s a photoshop. 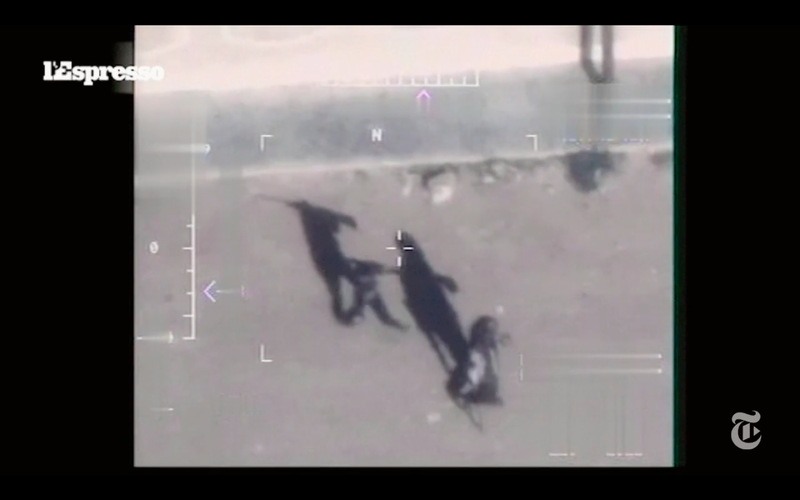 Finally, the Canon Drone’s serial, partly obscured, appears to be 85-566. 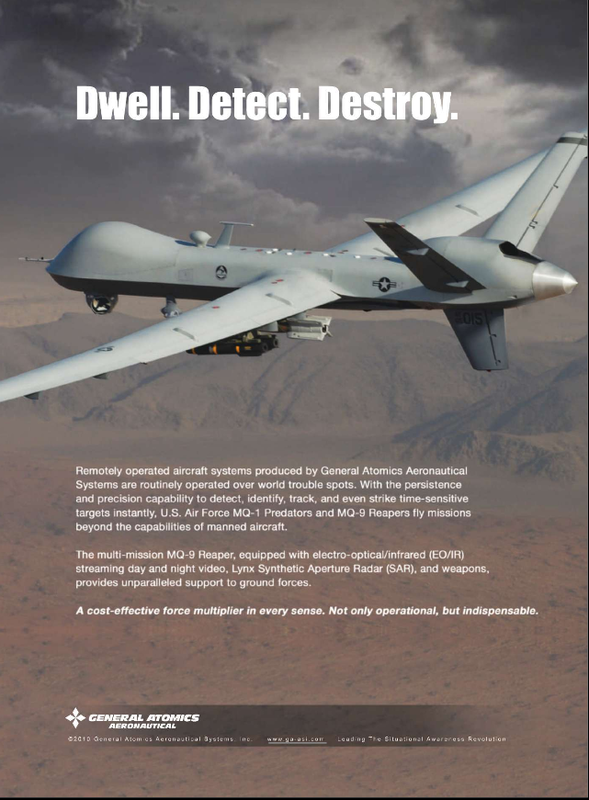 The first two numbers of USAF serials refer to the year an aircraft entered service: there were no Reapers back in 1985 (development didn’t even begin until 2001). “I had never seen an image of a drone actually firing a missile so that is what I decided to create,” he said. And suddenly, everyone else, who also had never seen a drone actually firing a missile, had a way of seeing with their own eyes. Strange then, that the US Air Force – which surely has seen countless drones firing countless missiles – should resort to a computer-generated, photoshopped image. And an inaccurate one at that. Even as the GNAT-750 was deployed over Bosnia-Herzegovina, the design was being developed into a new platform, the RQ-1 Predator, which incorporated three major modifications. The original intention had been to provide still imagery and text interpretation, but this was replaced by real-time motion video in colour (by day) and infrared (by night). A more serious limitation was range; the GNAT-750 could only operate 150 miles from the ground control station because it relied on a C-band line of sight data link. The CIA experimented with using relay aircraft to expedite data transmission – the same solution that had been used for the ‘electronic battlefield’ along the Ho Chi Minh Trail – but the breakthrough came with the use of the Ku-band satellite system that dramatically increased the operational range. The upgrade had been tested in the United States, and was retrofitted to Predators in Europe in August 1995. Although data was then rapidly transmitted across the Atlantic, the key intelligence nodes were still in Europe, like the Combined Air Operations Centre at Vicenza in Italy, and the drones were still controlled from ground stations within the region, at first from Gjader in Albania and later from Tazar in Hungary. A third, no less revolutionary innovation was the installation of an onboard global positioning system (GPS); early target imagery had to be geo-located using a PowerScene software program, but the introduction of satellite-linked GPS made a considerable difference to the speed and accuracy of targeting. But I now think this misses other even more important dimensions that speak directly to the fabrication of the network in which Predators and eventually Reapers become embedded. My primary source is a remarkable MIT PhD thesis by Lt. Col. Timothy Cullen, The MQ-9 Reaper Remotely Piloted Aircraft: Humans and Machines in Action (2011). 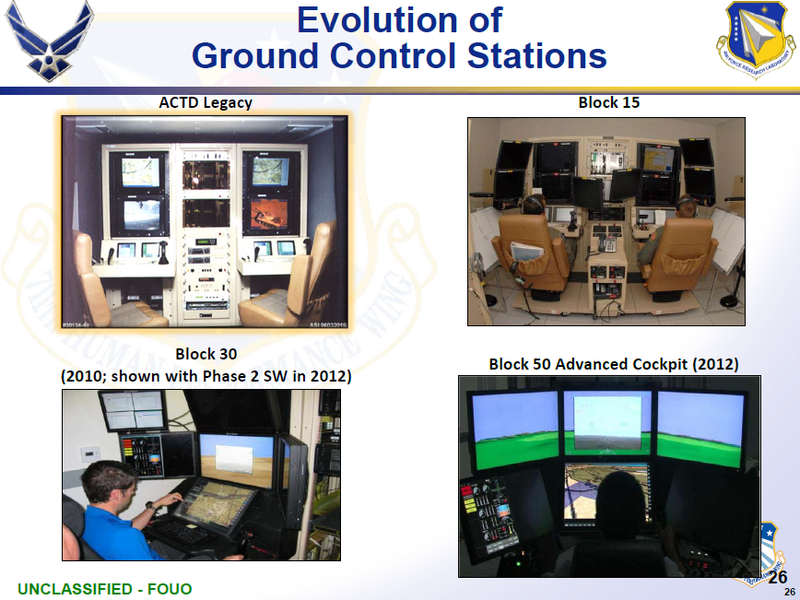 The research involved interviews with 50 pilots, 26 sensor operators, 13 Mission Intelligence Coordinators and 8 imagery analysts between 2009-2010 (so this is inevitably a snapshot of a changing program – but one with a wide field of view) and direct observation of training missions at Holloman Air Force Base; the thesis is also informed by Cullen’s own, considerable experience as a pilot of conventional strike aircraft and by actor-network theory, though most particularly by Edward Hutchins‘ cognitive ethnography and by the work of Lucy Suchman. Missing from public discussions are the details of remote air operations in current conflicts and the role of social networks, organizational culture, and professional practices in the evolution and history of RPA. The public cannot have informed discussions about these topics without empirical observations and descriptions of how RPA operators actually fly and employ the aircraft. 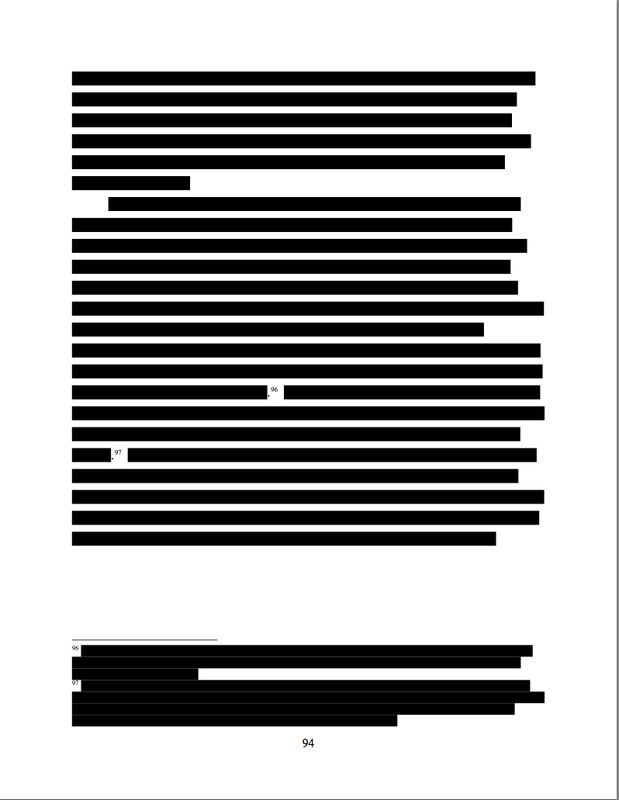 Fair enough, of course, but parts of the thesis are heavily redacted; I realise this isn’t – can’t – be Cullen’s doing, but it is as frustrating for the reader as it surely must be for the author (for Private Eye devotees, the image on the right shows p. 94). Still, there’s enough in plain sight to provide a series of arresting insights into the development of the UAV program. First, early Predator crews were remarkably detached from the wider mission and their ability to communicate with people outside their Ground Control Stations was extremely limited. 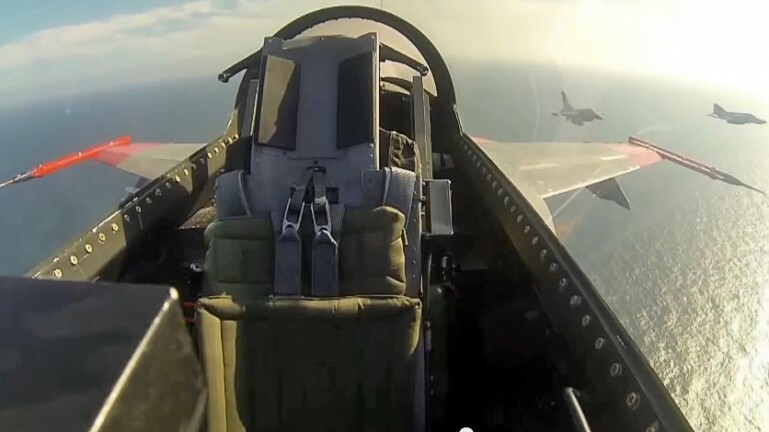 The pilot’s primary responsibility was to program the aircraft to fly on autopilot from target to target and to monitor the flight path, while two sensor operators identified and tracked the targets whose images were to be captured. 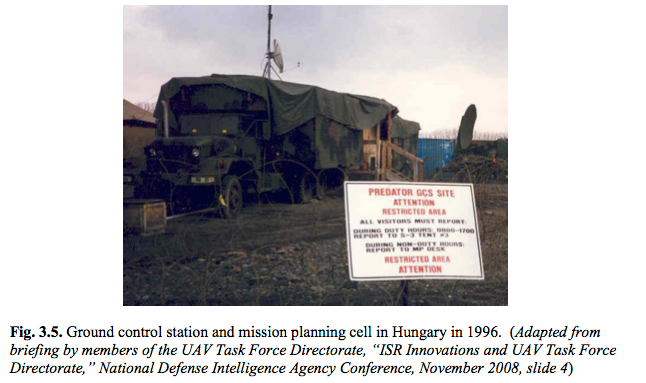 In a tent outside the ground control station a ‘Mission Planning Cell’ (MPC: see photograph below) served as the communications interface; since this was an experimental system, the Ground Control Station was not permitted to receive or transmit sensitive or classified information. Apart from the transmission of images, all communications between the two were either face-to-face (literally through the tent flaps) or via a telephone link. 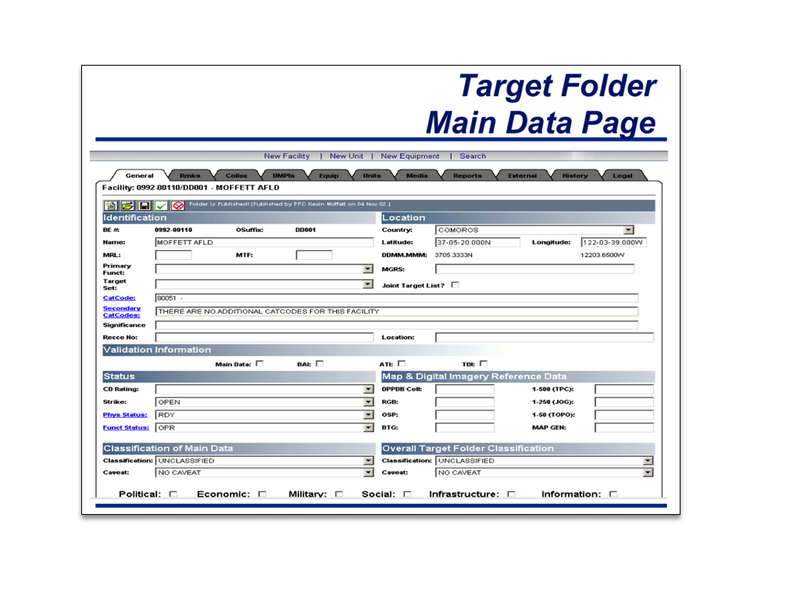 Before a mission the MPC received a set of 50-300 imagery targets (known as ‘Collection Points’) from the Balkans Combined Air Operations Center in Vicenza in Italy, and used this to create a detailed target deck. The time between the initial requests and final image capture steadily decreased from 72 hours to 48 hours, and eventually re-tasking during a mission became standard: more on the tasking process here. The video feeds from the Predator were sent via coaxial cable to the MPC where they were digitised and encrypted for onward transmission over a secure network to commanders in the field and to a group of 10-12 imagery analysts in the United States. The analysts posted video clips and annotated stills on a classified web page, but the quality of the video feeds with which they had to work was significantly less than the raw feeds available in theatre, and the slow response time was another serious limitation on the value of their work. Even more significant than the Predator performance “firsts” is the wide use made of its imagery, amplified by the increased network of receiving stations both in-theater and back in CONUS [continental US]. 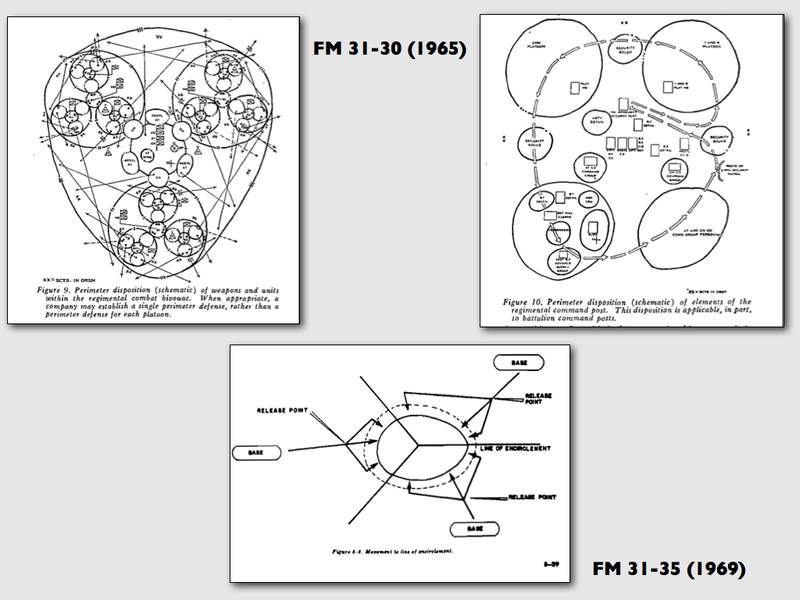 The development of this dissemination capability is shown below. It first used VSATs at selected receiving sites, and then the SATCOM-based Joint Broadcast System (JBS). The Predator-JBS network represents the first time for the simultaneous broadcast of live UAV video to more than 15 users. 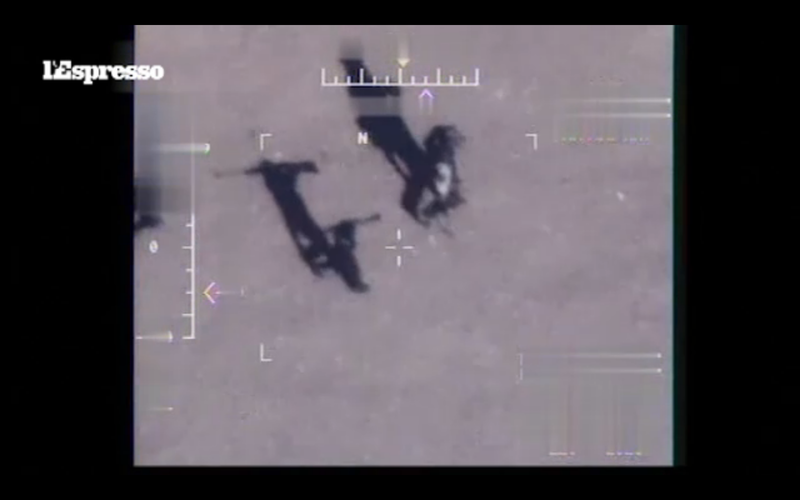 This provided a common picture of the “battlefield.” Video imagery can be viewed either as full motion video or via a “mosaicking” technique at the ground station. [JAC Molesworth was the Joint Analysis Center at RAF Molesworth in the UK, US European Command’s intelligence center, and DISN is the Defense Information Systems Network for data, video and voice services]. But the system was far from responsive; the MPC filtered all communications from commanders and imagery analysts and, as the tasking diagram below shows, whether the cycle followed the standard model or allowed for more flexible re-tasking the Predator crew had very little discretion and was, in a substantial sense, what Cullen calls ‘a passive source of data’. Its responsibilities were limited to the ‘physical control’ of the platform. 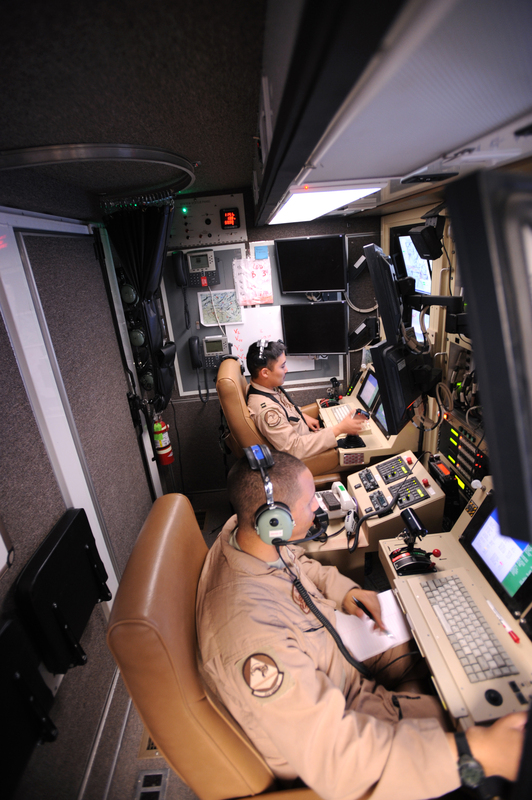 ‘RPA [Remotely Piloted Aircraft] operators restructured the ground control station and crew tasks to shift the actions of crewmembers from low status missions of gathering and disseminating data to higher status tasks of integrating and creating information, participating in the assessment of threats, and actively contributing to commanders’ decision-making processes. RPA operators were not satisfied with simple connections to a network of people and tools to accomplish a mission. They sought and fostered social relationships with them and demanded interactive dialog among them in a form they could anticipate, understand, and evaluate’ (Cullen, p. 204). For the ‘no-fly zone’ established over southern Iraq reconnaissance flights were flown by Predators from Ali Al Salem Air Base in Kuwait, and for the initial campaign in Afghanistan from Jacobad in Pakistan, and Cullen explains that the vulnerability of these (‘austere’) sites limited the MPC’s access to secure networks, communications and databases. But in 2002-3 USAF pilots and sensor operators returning from secondment to – Cullen actually calls it ‘kidnapping’ – ‘other agencies’, which is to say the CIA, successfully argued that the primary execution of remote missions should be consolidated at Nellis Air Force Base and its auxiliary field, Indian Springs (later re-named Creech AFB), in southern Nevada, which would expand and enhance crews’ access to secure intelligence and analysis capabilities. 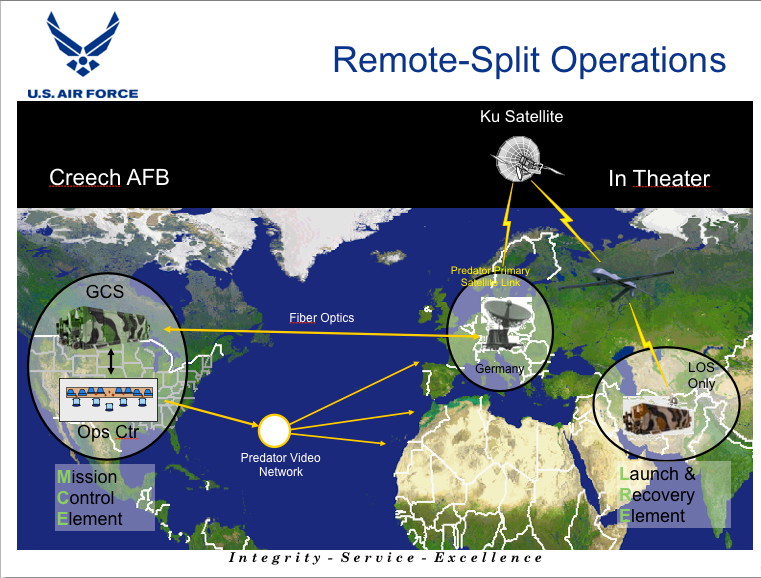 There would still have to be a forward deployed ‘Launch and Recovery’ element to maintain the aircraft and to control take-off and landing using a line of sight link, but all other mission tasks could be handled from the continental United States using a Ku-band satellite link via a portal at Ramstein Air Force Base in Germany. When remote split operations started in 2003 the MPC disappeared, replaced by a single Mission Intelligence Co-ordinator who was stationed inside the Ground Control Station in constant communication with the pilot and sensor operator and this, in turn, transformed the configuration and equipment inside the GCS. But, crucially, relations beyond the GCS were also transformed as USAF commanders visited Afghanistan and Iraq and established close relations with ground troops: ‘remote’ and ‘split’ could not imply detachment, and the new technological networks had to be infused with new social interactions for the system to be effective. ‘Predator pilots became decision makers, and Predator’s weapons transformed Predator pilots and sensor operators into war fighters – Predator crews could create effects on the battlefield they could observe, evaluate and adjust… The arming of the Predator was synonymous with the integration of the system – the people, tools and practices of the Predator community – into military operations’ (pp. 245-7). 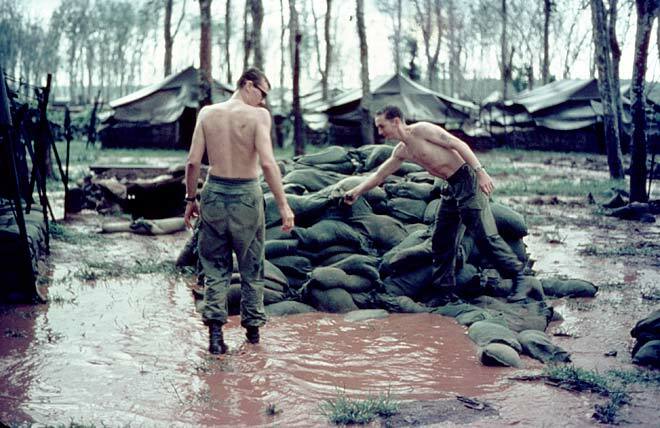 The language was performative, but its performative force – the ability to ‘create effects on the battlefield’ – was realised through the developing networks within which and through which it was deployed. I’ve added a draft of a new essay, ‘Moving targets and violent geographies’, under the DOWNLOADS tab. It’s a general essay on drones, summarising both their genealogies and geographies, and I would welcome any comments, preferably by e-mail so they don’t get lost in the spam nets: again, this is a draft, so please treat it as such. I wrote it for a volume of essays in honour of the work of my great friend Allan Pred, though I’ll incorporate a different version in The everywhere war. This raw draft doesn’t feature any images (despite the references to Figure 1, etc): I’m still trying decide what to include. You’ll see that it draws on a number of posts on the blog – a large number, now I’ve realised just how how many drone sightings there have been on geographicalimaginations.com! – as well as recent presentations. I’ve noted before that I find presentations a useful way to prepare for an essay; I treat these visuals as storyboards and, once the essay has been drafted, it’s time to move on to other presentations: reading to an audience from a finalised script seems a waste of time to me. But I’ve also found those scattered posts immensely helpful too, and I’ve been surprised at the consistent themes that emerged from them once I started to put them together. This is more than cut-and-paste (or at least I hope so), and there are new arguments in the essay. Let me know what you think. Drones are moving targets in all sorts of ways – not only because, as I explain in the essay, they are currently unable to operate in contested A2/AD (‘anti-access/area denial’) environments, and not even because Boeing has recently converted some of its mothballed F-16 fighter aircraft into target drones (see the image above; there’s a long history of target drones, of course) – but also because advanced militaries are re-evaluating their role and capabilities. The Pentagon issued its first integrated ‘UAS roadmap‘ in 2005, a review of all unmanned systems in 2007 and an update in 2011. 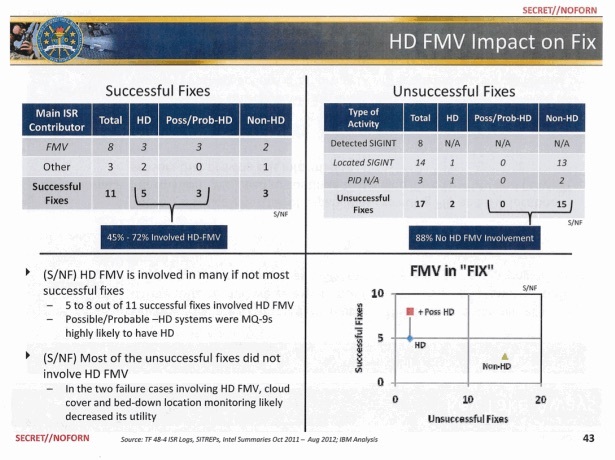 The Air Force produced its own ‘UAS Flight Plan‘ in 2009 (see the briefing slides here) and has promised its new ‘RPA [Remotely Piloted Aircraft] Vector’ report in the very near future. It’s keenly awaited because there are indications that the Air Force is re-thinking its infatuation with Predators and Reapers. The commander of Air Combat Combat, General Mike Hostage, has made it plain that they are ‘useless in a contested environment‘ and so are unlikely to have a prominent place in Obama’s ‘pivot’ to Asia/Pacific. While you are waiting, you can get a taste of what is to come from this June 2013 briefing by Jeffrey Eggers. I’m in the UK this week for – amongst other things – a seminar with Pete Adey, Sara Fregonese and some of the Geopolitics and Security students at Royal Holloway on my bombing project, Killing space; a workshop at Open Democracy for a new series on Cities in Conflict to be curated by Tom Cowan; and a lecture at Nottingham organised by Steve Legg: another outing for “Deadly Embrace”. At the RHUL meeting the conversation frequently turned to drones; Pete made an audio recording of it, and I think at least part of what we discussed will appear on the Theory, culture & society website in the near future. 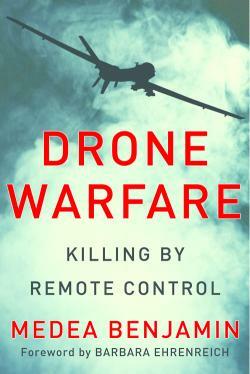 But I’d like to try to set out some of my own puzzlements and positions about the politics of drones here. There are many ways in which individuals can take a stand against war, and there is a long and principled tradition of conscientious objection that includes pacifists in two World Wars through young Americans who resisted the draft in the 1960s and 70s to high school students in Israel who refuse to serve in the army of occupation. In recent times most popular mobilisations against war have been against particular wars – I’m thinking of the demonstrations against the wars in S.E. Asia in the 60s and 70s, for example, or the millions of people who took to the streets to express their opposition to the US-led invasion of Iraq in 2003 – or against particular objects of violence: campaigns to ban land mines or cluster munitions, for example. 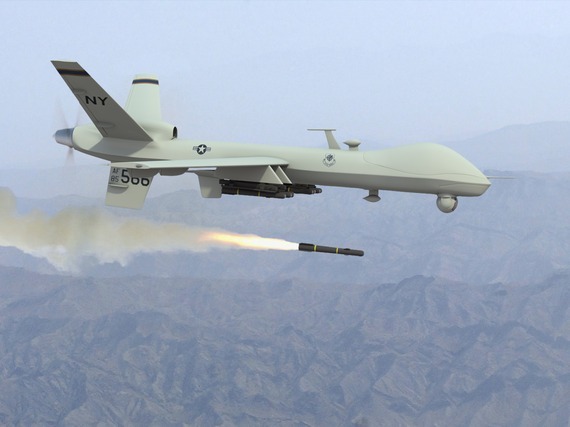 To me, the most effective political response to the use of Predators, Reapers and other UAVs in Afghanistan, Pakistan, Yemen, Somalia and elsewhere is to move between the two: to use the drone to draw publics into an apprehension of the wider fields of military violence in which they are deployed. I think it is a mistake to focus on the object itself because, like all objects, a drone is highly unstable: it’s not a fixed, determinate ‘thing’ but its capacities and dispositions depend on the network or assemblage in which it is embedded. To see what I mean, begin by stripping the bombs and the missiles from these platforms: at present most drones are used for intelligence, surveillance and reconnaissance (ISR), and these capabilities extend far beyond the domain of offensive operations and even beyond those of the military. In 2010 US Southern Command used a Global Hawk to provide detailed imagery of the damage caused by the Haiti earthquake (above) and the following year another Global Hawk was deployed to assess the damage to the Fukishima Daiichi nuclear plant in Japan; other, smaller and far less sophisticated drones have been used to monitor wildfires in California and to track and disrupt Japanese whaling fleets, while a series of other, broadly ecological-humanitarian projects have been proposed with varying degrees of plausibility. I don’t rehearse these other possibilities to minimise the military and paramilitary uses of the technology – and we surely know, not least from Nick Turse‘s account in The Complex, that the military and the civilian have become ever more hopelessly entangled with one another – and neither am I indifferent to the blurring of military power and NGO relief operations in the humanitarian present, but we need to acknowledge, to paraphrase Clive Barnett, that not all ISR operations are sinister: ‘presumptively illegitimate, undemocratic or suspect‘. 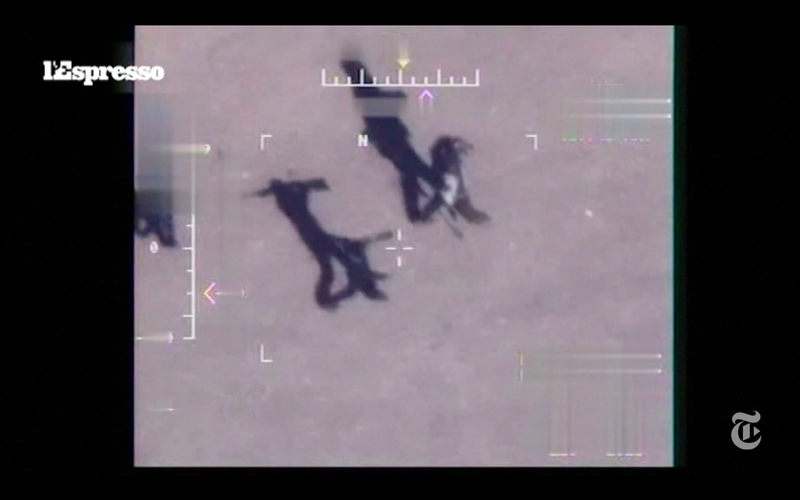 This is why Drone Wars UK focuses on ‘armed drones’ and Drones Watch on ‘killer drones’. It’s clear that militarised ISR is part of a continued ‘rush to the intimate’ that is profoundly invasive and, on many occasions, extraordinarily violent. 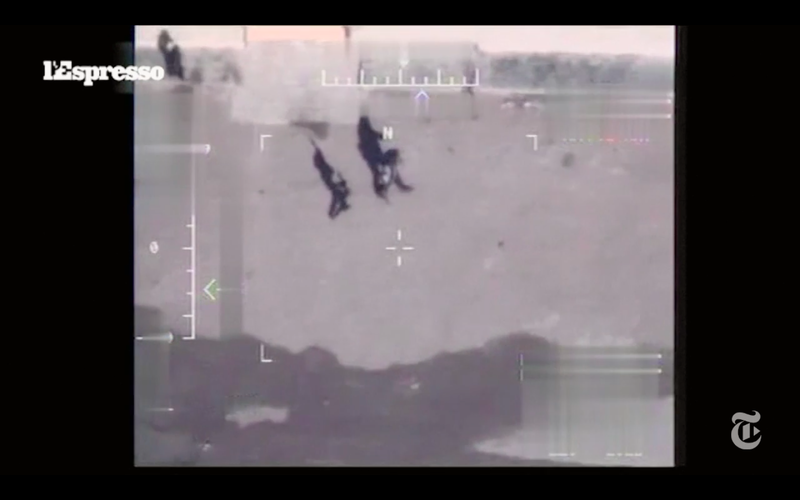 In Afghanistan the US military embeds its UAVs in a networked kill-chain in which their near real-time, high-resolution, full-motion video feeds are routinely used to call in attacks from conventional strike aircraft. So let’s now put the bombs and missiles back on these platforms, since the Predators and Reapers are usually armed and their manufacturers boast about their capacity to compress the kill-chain: to ‘dwell, detect [and] destroy’. But it then makes no sense to object to the strikes carried out directly from them and to exempt those carried out by conventional means across the network: what is the difference between a Hellfire missile launched from a Reaper and one fired from an Apache helicopter gunship? (To put this in perspective, according to the most recent airpower summary, USAF Predators and Reapers directly accounted for just 5-6 per cent of its ‘weapons releases’ in Afghanistan in 2009, 2010, and 2011, though the proportion climbed to 9.25 per cent in the first ten months of 2012). To answer that question critics usually cite the horror of death at a distance. This is death from thousands of miles away, conducted by operators in the continental United States: ‘killing by remote control’. And yet there are countless other ways in which militaries have been killing from ever increasing distances ever since the invention of the slingshot and the longbow. If you insist that it is wrong to kill somebody from 7,500 miles away, then over what distance do you think it is acceptable? If you are determined to absolutize distance in this way, then don’t you need to consider all the other ways in which advanced militaries are able to kill their adversaries (and civilians) without ever seeing them? Again, I don’t raise the spectre of Cruise missiles launched from ships hundreds of miles from their targets, the US ‘Prompt Global Strike’ capability and its Advanced Hypersonic Weapon which is ultimately intended to hit a target anywhere on the planet in under an hour, or the prospect of ‘frictionless’ cyberwarfare, to minimise the deaths caused by drones. I simply want our politics to apprehend the larger field of military violence in which they are deployed. And there is something different about those deaths that draws us back into the killing fields. I should say at once that I don’t think this is simply war reduced to a video-game – and in any case there are many other military technologies that also depend on hand-eye co-ordination, multi-tasking and spatial acuity, all skill-sets valorized by video-games – but I also think it a mistake to assume that the screen effectively insulates the viewer from the victim. In this sense there is a parallel between the platforms, because video-games are profoundly immersive, and those who call in or carry out these strikes insist that they are not 7,500 miles from their targets at all (and Launch & Recovery crews are much closer than that) but ‘eighteen inches away’: the distance from eye to screen. It’s a highly selective process of compression; as I’ve shown in detail in Lines of descent (DOWNLOADS tab), those involved in the remote kill-chain typically feel remarkably close to their own troops on the ground and remain distant from the life-worlds of the population at large (which in part accounts for the civilian casualties when drones are used to provide close air support). 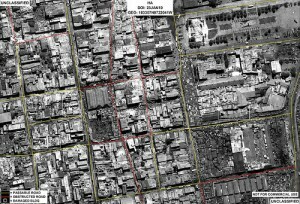 But unlike most other forms of distant death and destruction, the pilots, sensor operators and others who are networked into these kill-chains can see their targets up close – even if their ‘seeing’ is techno-culturally conditioned and often predisposes them to treat innocent actions as hostile intentions – and they typically remain on station to carry out a ‘bomb damage assessment’ and so see for themselves, often in hideous detail, what they have done. The most consequential change is that these new modes of air power deal not in the area bombing of cities like Cologne, Hamburg or Dresden, or the blind bombing of target boxes over the rainforests of Vietnam, Laos and Cambodia, but – in addition to close air support – in the calculated assassination of individuals or groups: so-called ‘targeted killing‘ or what the USAF calls putting ‘warheads on foreheads‘. This does not mean that the firebombing of cities in the Second World War should become the moral standard against which we judge contemporary military violence. 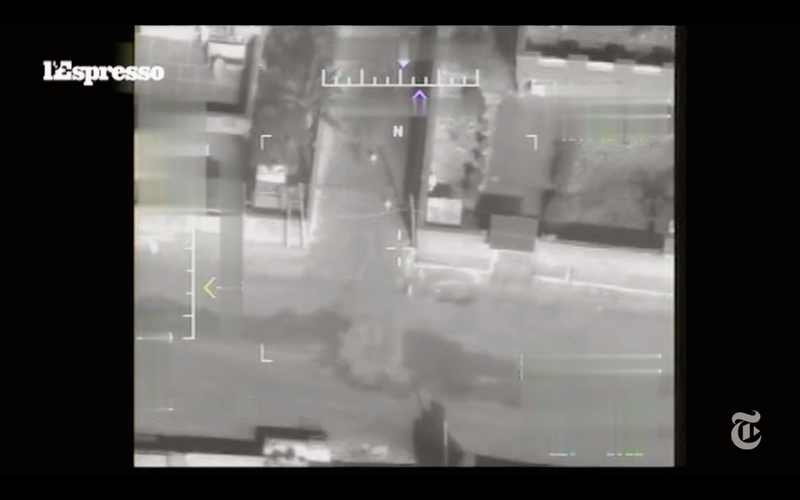 On the contrary, targeted killing raises its own grave legal and ethical questions – and, not incidentally, those video feeds have given military lawyers a pivotal role in these newly networked strikes – that in turn activate two other no less serious concerns about the emergent geographies of fields of military violence. 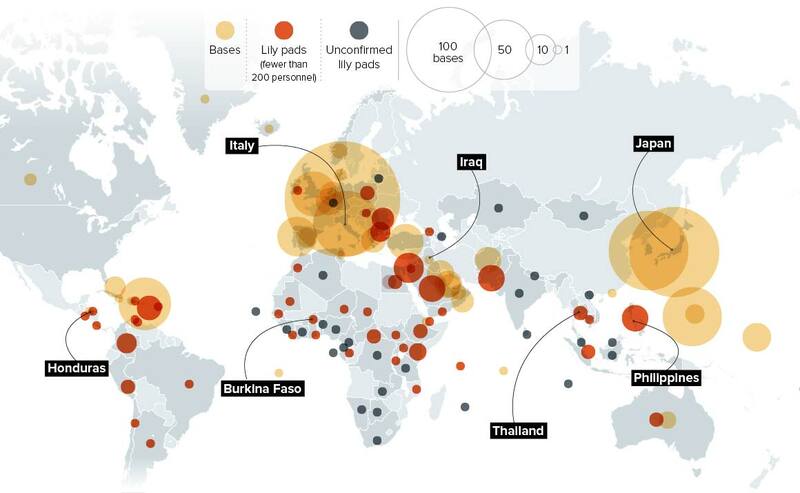 First is the fear that the use of remote platforms lowers the threshold at which military violence will be launched. Predators and Reapers are much cheaper than conventional strike aircraft, and if there are no troops on the ground, there are no body bags to come home. In short, drone war threatens to become risk-transfer war hypostatised; the risk is transferred wholly to the adversary population. But at present these platforms have high failure rates – they are vulnerable to weather conditions (and I don’t mean hurricanes and monsoons, I mean clouds), they crash all too frequently and they are so slow and noisy that they can easily be shot down so they can only be used in uncontested airspace. These limitations mean that, at present at any rate, they are less likely to incite conventional state-on-state war – though there is certainly a global arms race to acquire and develop far more advanced drone technologies. Second and closely connected is the fear that they make it much easier to engage in war by stealth. If one of the primary foreign policy challenges of the last Bush administration was ‘conducting war in countries we are not at war with‘, Obama’s version is the determination to wage what Martin Libicki calls ‘non-obvious warfare’: hence the Obama administration’s preference for remote operations, Special Forces and cyber-attacks. 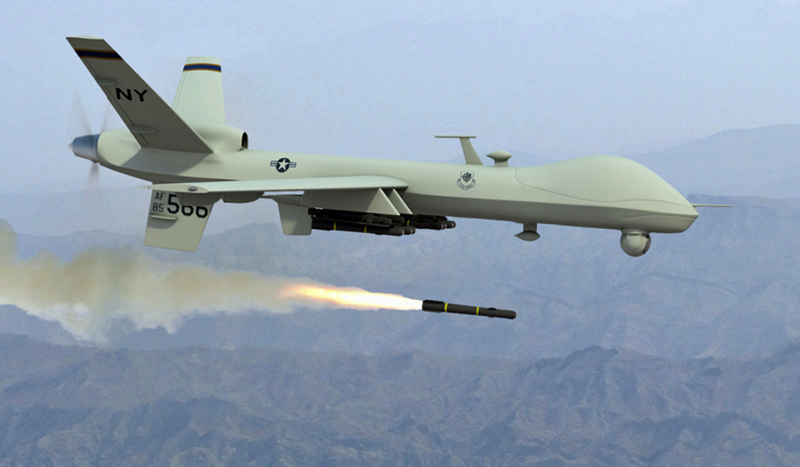 To be sure, there are degrees of obviousness: the drone attacks in Pakistan, Yemen, Somalia and elsewhere are hardly covert – since they are hidden in plain sight – but they are, within limits, more deniable than the deployment of thousands of ground troops and so inherently less accountable to the various publics involved in them. 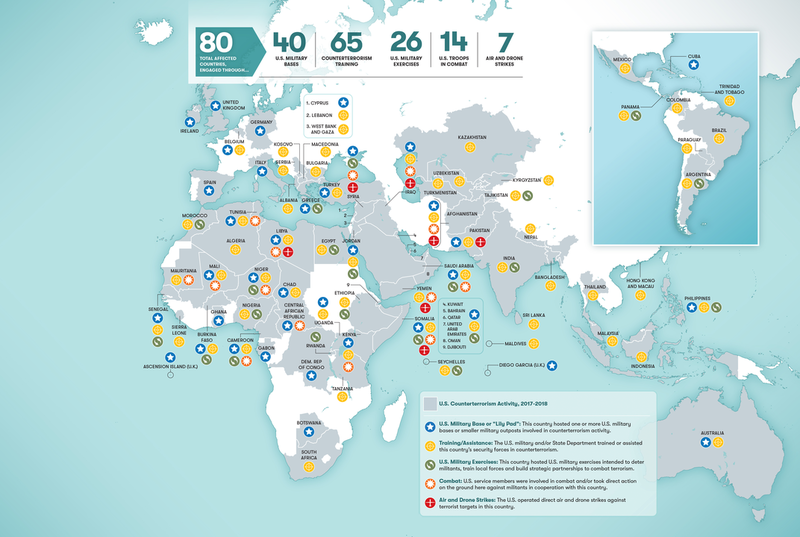 And in all these cases Predators and Reapers dramatically heighten the asymmetry involved in military and paramilitary operations against non-state actors, where they have made a policy of ‘kill’ rather than ‘capture’ a much more tempting (and much more pernicious) US counter-terrorism strategy.